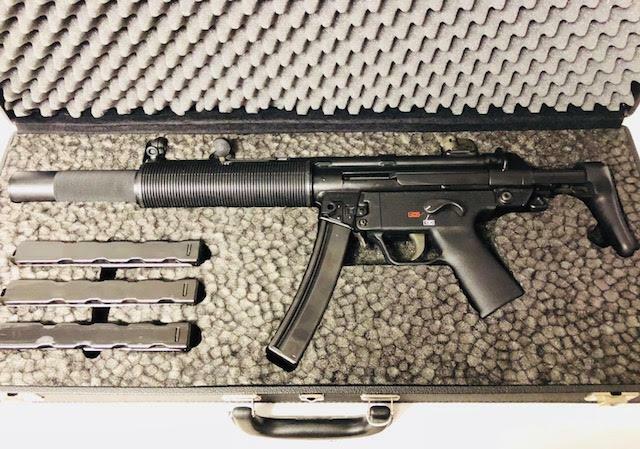 Excellent Condition Investment Grade (IG) Date Code HK-MP5SD, 9mm Full-Auto Sear Ready Short Barrel Rifle (SBR) in a Custom German Construction Form Fitting Attache. The Gun was Completely Gone through and Upgraded by TDyer. Upgrades Included Removing the S&H Suppressor and it was thoroughly cleaned and a New HK Suppressor Gasket was installed, New factory German SD Hand Guard, New Rear Site, New A3 Buffer, New Nylon Guides on Recoil Rod, New Extractor Spring, Combat Magazine Release, Clipped & Pinned German Ambidextrous FBI Trigger Group with an Extended Safety Selector Lever (ESSL), New Phosphate Finish on Bolt Carrier and 3-part HK Black on the Receiver, Suppressor & Stock. 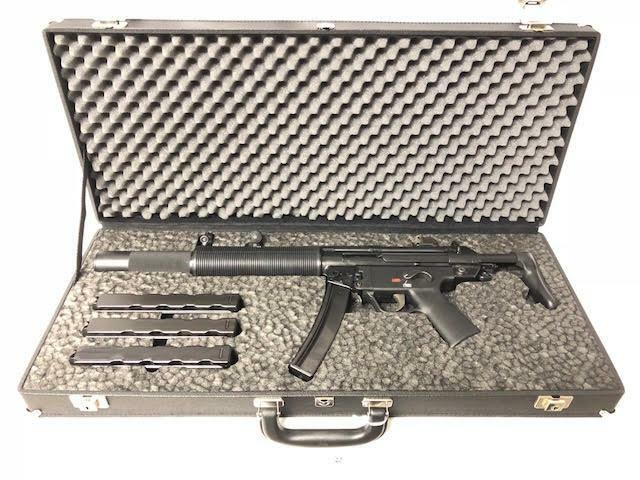 This Investment Grade Gun is in Like-new Mint Condition and Unfired Since the Upgrades & Refinish.